Nothing says summer like a great vacation — the more exotic the destination, the better! But getting away often requires a flight. And traveling by air can really dry out your skin. The longer the flight, the more parched your skin will be by the end. Fortunately, there are steps you can take to ensure you don't lose that just-back-from-vacation glow by the time your plane brings you back home. 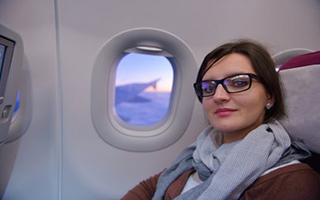 Skin dries out during flights because there is so little humidity in the airplane cabin. Relative humidity can drop below 10%. And when you stay in an environment like this for several hours, your skin will lose hydration. Even your mouth, throat, and eyes can feel dry. The first solution will hopefully be your natural inclination anyway when your throat feels dry — drink water. Water will help combat the dry sensation, as well as keep your entire body from getting dehydrated. That can make you feel fatigued no matter how long you spend lying on the beach. Alcohol and caffeinated drinks will dehydrate you further and exacerbate the problem. Water is a far better choice. Water will help from the inside out; to help from the outside in, moisturize, moisturize, moisturize! Pack a deep moisturizing cream that you can apply frequently during the flight to any exposed skin. 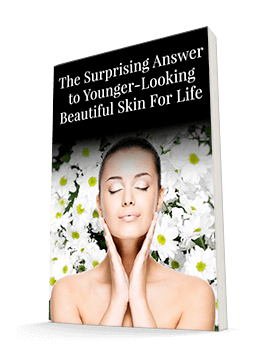 A vitamin C serum can help keep skin bright as well. Apply a face and body moisturizer. And don't wait until you're on the flight to start applying. Moisturize your skin before you step foot on the plane so it already has a protective barrier of hydration. The skin around your eyes can be particularly sensitive to the stress of the dry air. You may end up with puffy eyes, bags, dark circles, or dryness and itchiness if you don't care for your eyes properly. Pack natural, preservative-free eye drops to keep your eyes lubricated, especially if you wear contact lenses. If you can, choose glasses for your flight. If you are on a flight for more than 4 hours, moisturize the eye area a couple of times during the flight to keep the skin from drying out. Système 41's Eye Serum, replete with natural oils, vitamins B5 and C, and olive-based squalane help to ensure the area around the eye stays fully moisturized. Apply underneath and around the eye. Dry air is an unpleasant condition of air travel. But it doesn't have to steal your glow. Give your body the moisture it needs both internally and externally, and you'll step off the plane looking just as radiant as you do after days of relaxing.